What's going on at the moment? FirstSamsung accidentally let slip details of its forthcoming Galaxy S6 Active, and now Sony has done the same with its latest fitness tracker. Then in classic 'nothing to see here' fashion, it yanked the offending web page. It revealed all the details in the page for the partner app in the Google Play Store. (It washere, if you're interested.) It revealed it has a new device up its sleeve called the SmartBand 2, which, unsurprisingly, will succeed the original SmartBand. So what's new? The main difference seems to be a new heart rate monitor, which should bolster its fitness tracking skills. There's also a new app, which was revealed in the Play Store. Though annoyingly, it looks like Sony is persisting with its Lifelog app which you also have to download. Seriously guys, two apps? Lifelog always seemed misguided to us. It aimed to chronicle your day by recording which activity you're doing every minute. Whether you're out for a walk, working or playing Xbox, it would take note. Then at the end of the day, you would have a picture of how you spent your time. Sadly there wasn't the option for trawling endlessly through mind-numbing data. What are you supposed to do with it all? Who cares? 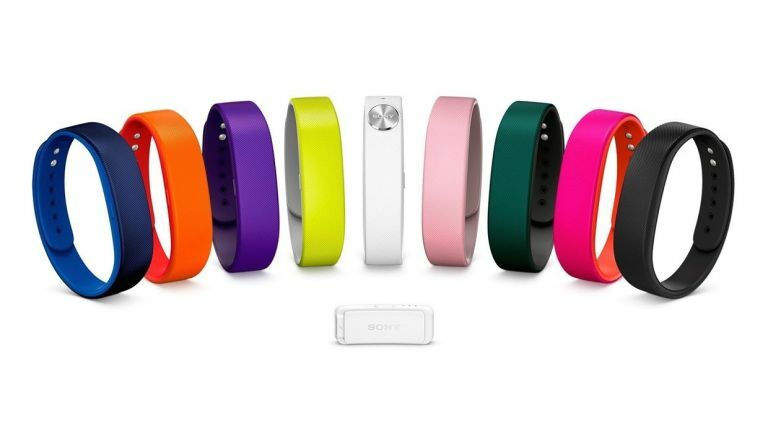 That aside, the SmartBand 2 looks like a perfectly capable fitness tracker. It'll log your sleep, how many steps you take, calories burned and the rest. And it'll buzz when you get an email, text or phone call. A new button lets you take a snapshot of all the data it has at any given moment, so you can "record meaningful moments in your life". We don't know who's going to look back at a table of data to remember what a good time they had. But maybe it's just us. There's no official launch date, but we're guessing it'll arrive imminently.